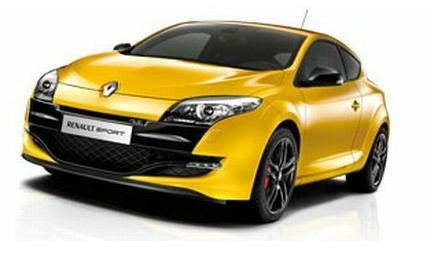 First official photo with the new Renault Megane RS escaped on the Internet before the onset of the model which will take place at the Auto Salon in Geneva. As can be seen in this picture, Megane RS will have an aggressive front spoiler in two colors, black rims in five hospitals, and red LEDs. Regarding the engine, the new hot hatch will be propelled by a 2.0 turbo engine developing 250 horsepower and 340 Nm.